Gaming Is Now Multidisciplinary, And Needs Hardware To Match. PC Gamers have it easy today, right? Cheap games through Steam, affordable hardware, drivers which don't crash every hour on the hour; truly a utopia compared to even 10 years ago. Hah, don't believe a word of it! Simply playing a game is merely scratching the surface of what it means to be a dedicated gamer in 2017, a hobby which draws on hugely diverse skills that extends well beyond fast reflexes and excellent situational awareness. Let’s start with research, the foundation of any robust decision. From the outset a gamer needs to be tuned into the current trends – most especially what's the best platform for the games you want to play. Although rarer in this generation thanks to PC-esq x86 architecture migrating to consoles, platform exclusives still exist; choosing the correct platform needs to be more than a roll of the dice. Four X370-chipset motherboards. Can you tell the differences, just from this photo? When they choose PC (the only clear and rational option, obviously) the aspiring gamer then needs to nurture an understanding of PC hardware to assemble the right system. It's all well and good buying one off the shelf, but to squeeze as much value from typically constrained budgets there's no substitute for building your own; plus, you need to ensure you're not being scammed by an unscrupulous retailer marketing hardware with mismatched or underpowered components. If that wasn't bad enough, games remain an enormously complex medium. 'Gitting gud' not only requires time but also a deep investigation of game mechanics and, if it's competitive in nature, a solid understanding of an evolving metagame. It's not as uncommon as you might think to find outwardly casual players of engaging videogames who have put more hours outside a game understanding its complexities than an average Master’s degree thesis. So, you now have a system, and you have the drive to play at a high level. You're getting pretty good, so what's the next step? Simple: Broadcasting. 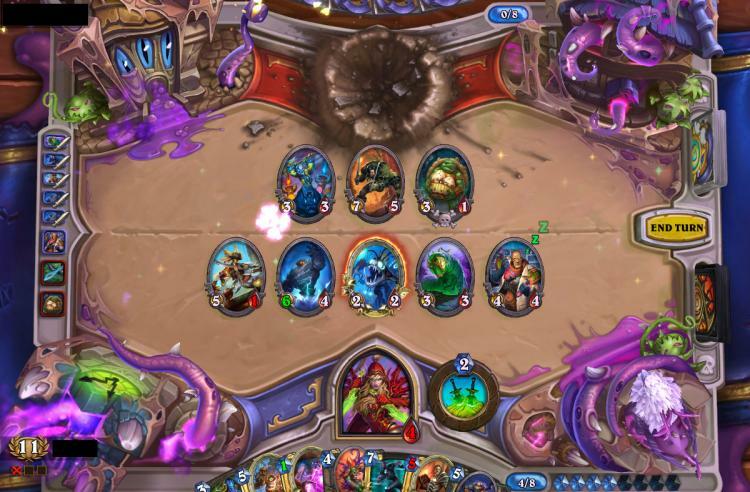 Broadcasting on platforms such as Twitch.tv and Youtube Gaming has exploded in recent years. According to Newzoo.com 82 million hours of League of Legends gameplay were watched over Twitch in April 2017 alone; even casual titles such as Hearthstone can garner more than 40m hours watched in a typical month*. This isn't just eSports professionals, gamers of all stripes are contributing channels which, with an audience, boost viewing figures to stratospheric levels. Even casual games can spark enormous interest. To maintain any sort of audience the quality of your broadcast needs to be exemplary. That means good audio, high streamed video quality (bit-rate, resolution and FPS), and no frame-rate hitching no matter how many tasks you're running in the background. Time to reap the benefits of those research hours you put into assembling your system. The software side almost takes care of itself. 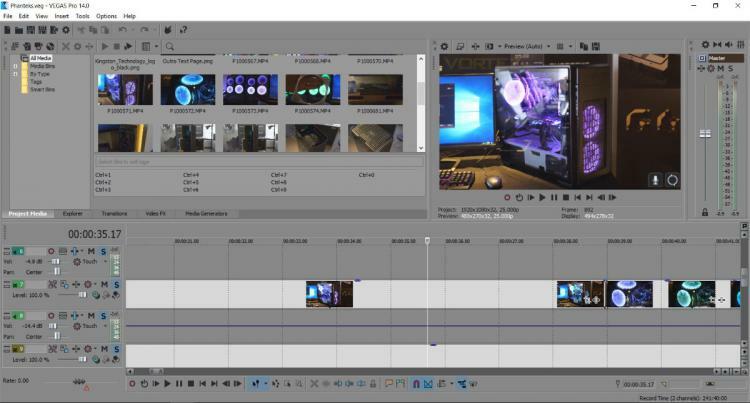 Free software provided by GPU manufactures can get you started, and transitioning to more powerful tools such as XSplit Gamecaster or OBS will hone your skills. As you get more comfortable you may even branch out into streaming VR content, or creating on-screen overlays for you and your team. Choose the right hardware and the sky is the limit. At one stage Youtube uploads of gameplay were the first way to develop an audience for gaming content. Simply capture interesting, fun and informative slices of gameplay, stitch them together and voilà - instant views. Now the arena is much more competitive, with heavily edited highlights packages, bespoke intro and outros and overall higher production quality being the norm. All this takes time, not only to learn but also the actual process of editing and rendering. Expect UIs like this to become a familiar sight. With many traditional gaming systems time spent rendering would mean time spent not playing. Many 'experts' would recommend two systems - one for gameplay, one dedicated to rendering - but it's difficult to justify that without some very deep pockets. Others would point to prosumer multi-core behemoths, but CPUs such as the Intel Core i7-6900K push system cost beyond $1000 for just motherboard and CPU; if you could afford that, it's not all that much less than a second system. Until very recently it was all but impossible to acquire a PC with more than four CPU full-fat cores at reasonable prices. It should come as no surprise that what we're describing is 'Megatasking'. The PC platform as a whole has diversified beyond 'multitasking', a term from the last decade defined simply as performing now trivial tasks such as of watching video and writing a document at the same time. 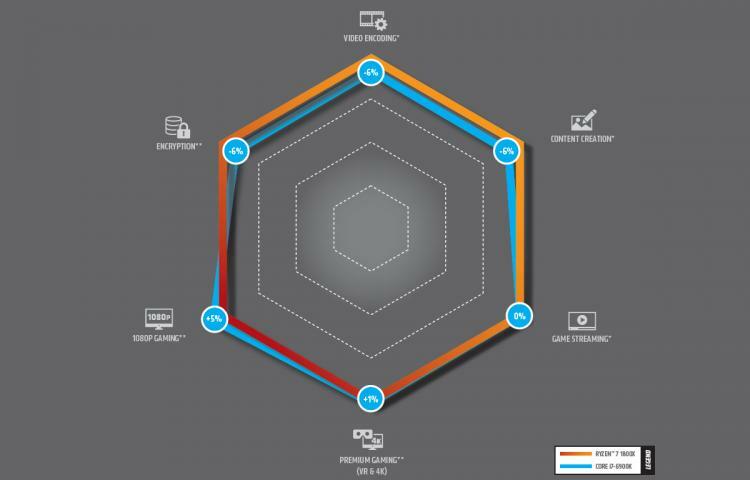 Today Megatasking - running immensely processor-intensive applications simultaneously, some of which are real-time - is increasingly common, and Megatasking thrives on access to as many CPU cores as possible. Unfortunately until this year the mainstream was limited to four full-fat processing cores per CPU, operating perhaps eight independent threads at the top end, and that's not really enough to meet the demands of modern gaming as a hobby. Whilst initially adequate, such a system will soon stifle those who want to make best use of their time and really push the boundaries of their favourite pasttime. This year however the game changed, and for once we didn't need to wait for Computex before paradigm-shifting announcements. AMD Ryzen 7 - Going Beyond Gaming. "AMD have returned to the fray, and with the Ryzen 7 they have officially ended the era of quad core computing." This past March AMD released the Ryzen 7 platform, based on their brand new Zen architecture. Not only was it an immense development for AMD, it's also had repercussions we're still seeing almost three months post-launch. Ryzen's architecture is scalable, which for the layman will have one major consequence: cores, and lots of them. The pioneering design of the flagship Ryzen 7 1800X features eight physical cores and baked-in support for Simultaneous Multithreading, equating to a total of sixteen logical cores and hence sixteen independent threads - that's as many as Intel's Core i7-6900K, a CPU which sold for $1089 (excluding tax) at launch last year. Critically the scalability of the Ryzen platform also adds flexibility when configuring a system. 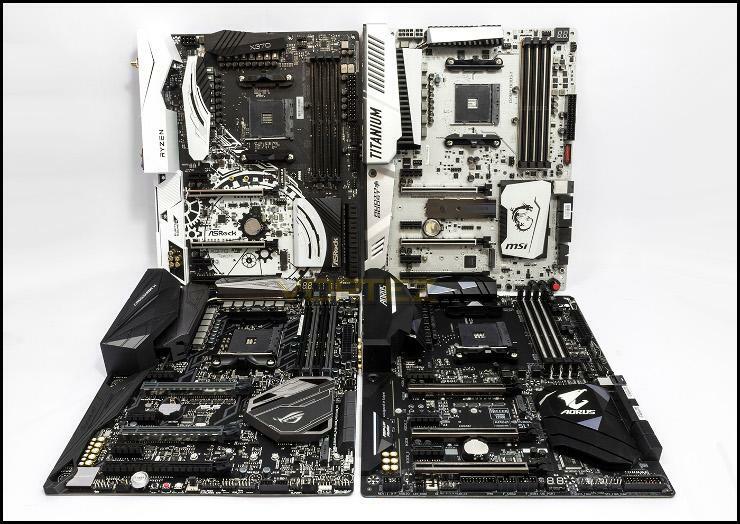 Rather than opting immediately for the cost of a High End Desktop system, a variety of mainstream motherboards were compatible with the whole of the Ryzen 3-7 CPU range. This allows the user to pare-down initial costs and more easily apportion the budget to components that are balanced for the best possible bang for your buck. However perhaps the greatest influence Ryzen will have is bringing more cores to the masses. Retailing at only $499 the Ryzen 7 1800X crushed the cores/$ metric, introducing megatasking capability to a whole new price bracket in the process. No longer are those with complex workloads and workflow patterns held to ransom by the HEDT platform. 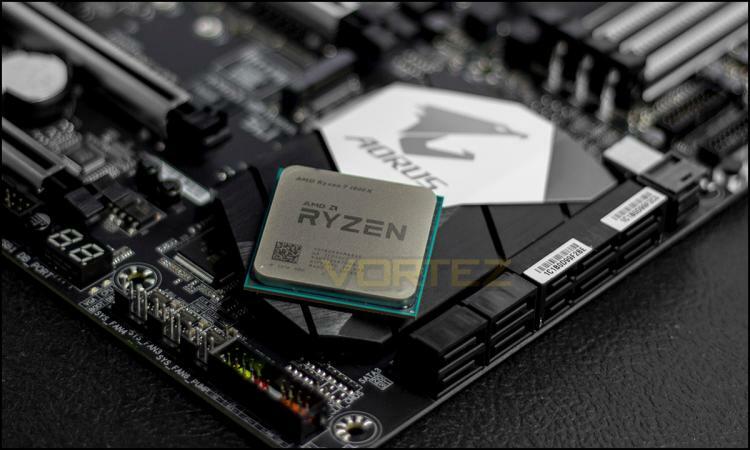 All this would be for naught if Ryzen couldn't offer performance to back up the price, but early benchmarks from the likes of ExtremeTech and PC Gamer showed just how competitive it would prove to be when compared to chips at a higher price premium. Video encoding and content creation in particular didn't lose out in the transition to Ryzen 7, and little was given away in raw frames per second. In the era of 4K and VR gaming a robust system platform will be all the more important and Ryzen 7 offers just that. Following our own testing we determined that 'compared to the target competition [the Ryzen 7 1800X is] an absolute steal', picking up both Vortez Gold and Value awards. Users should also realise that Ryzen continues to evolve as it gains traction in the industry. Software development houses are beginning to optimise not only for Ryzen hardware, but also multi-threaded operation in general now that the shackles of dual-core limitations in the mainstream have been broken. It's also unsurprising given AMD's close links to the gaming industry to hear that game development in particular is adapting to take advantage of the new status quo. "I've always been vocal about taking advantage of every ounce of performance the PC has to offer. That's why I'm a strong proponent of DirectX 12 and Vulkan® because of the way these APIs allow us to access multiple CPU cores, and that's why the AMD Ryzen processor has so much potential,"
For their part AMD are also pumping engineer hours into the platform well after release, and recently published details on the AGESA 1.0.0.6 firmware update. In it they expand support for memory rated at up to DDR4-4000, simultaneously introducing a framework for improved future memory support on AMD platforms. This firmware is in the process of being rolled out to manufacturers for integration into upcoming UEFI BIOS updates. The skill-set of today's gamers needs to be as diverse as any college graduate, and needs a robust but affordable gaming platform to nurture those skills not only in competition, but also in creating compelling content. In this Ryzen 7, particularly the Ryzen 7 1800X, is a perfect match. UK etailers such as Ebuyer, SCAN and Amazon.co.uk all feature competitive pricing for the AMD Ryzen 7 platform. To learn more about AMD Ryzen straight from the horses mouth visit AMD.com/en/ryzen. This article is an advertisement feature written with additional content provided by AMD. Vortez.net does not profit directly from retailer click-through links in this article.